In the world of war gaming, Columbia Games is known for making excellent, well-balanced block strategy war games. 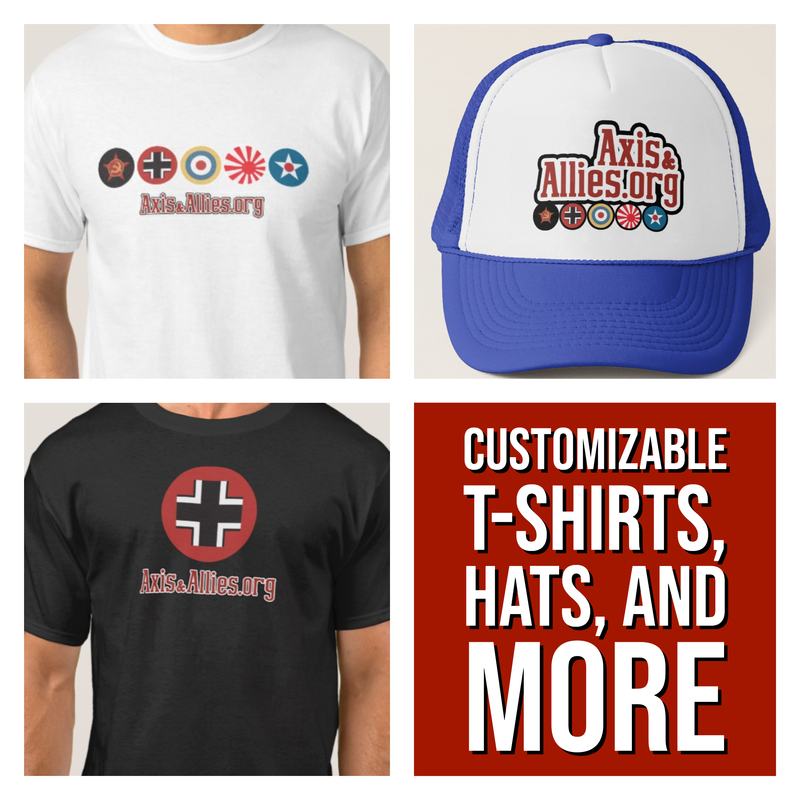 Now, with only 10 days to go, they are running a Kickstarter for their latest endeavor: Victory in Europe. Columbia Games was happy to provide the following details about this exciting new game. 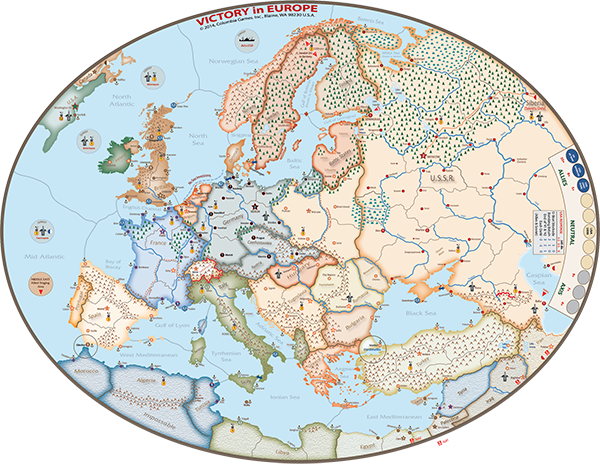 Victory in Europe is a strategic block wargame of World War II, for 2 or 3 players. The game plays in 3-5 hours on an oval map of Europe. The Kickstarter period ends on V.E. Day, May 8th. Victory in Europe will be published by Columbia Games. Known for their line of wargames with wooden blocks and playable designs, V.E. incorporates 40 years of design history to create a great gaming experience. You can back Victory in Europe with confidence. Columbia Games takes the risk out of your purchase with a money back guarantee. Give us an overview of Victory in Europe and how it’s played. Victory in Europe (VE) starts in late 1939 and goes until the Axis win a decisive victory, Germany is conquered, or the end of 1945. There are two decks of cards, one for each side, and the numbers on the cards allow attacks or long range strategic movement. The cards also are sorted by year and players will randomly draw cards from each year, typically four cards a year. Some cards have events that can be played with the numbered commands, such as Blitzkrieg that allows the Axis to overstack in one battle. The player with the highest card value has the initiative and goes first. The Axis win ties until the US enters the war. Players will move units that represent armies, air forces, and fleets. Hard decisions will have to be made about where to use those limited commands for attacking your enemies though. Should you split your efforts across submarine warfare, strategic bombing, or make out attacks on land? Combat typically lasts up to two rounds with units having varying hit probabilities depending on their quality and targets. Those familiar with other Columbia games will find the combat system intuitive. There also is the possibility of exploitation movement and further combat if an area is cleared and a player has a leader in the area. The game also features diplomacy where players can try many what ifs by trying to get Spain, Turkey, or other minor powers on their side. Production occurs simultaneously after each card play and is tied to holding critical minerals and oil and having factories. The game does an excellent job of rewarding combined arms. An attack with air, armor, and infantry is tough to stop unless you have combined arms too. The importance of resources, particularly oil for the Axis, shines in this game. What sets VE apart from other Columbia games is the use of the command cards for initiating battles rather than movement. A player may move all units up to their movement allowance during a turn, but only initiate a limited number of attacks equal to the command card played. This maintains the great tension of card driven games where initiative can switch from turn to turn, but also feels more historical for modern warfare. It’s a subtle but important departure for this game. What was the inspiration for this game? I always enjoyed playing grand strategy games. When I first discovered Columbia’s “Eastfront” in 1992 I fell in love with block games and eventually bought the entire “Masterfront” to link the whole war—a 30 plus hour endeavor to play the whole war—but found as I got older I had less and less time to play monster games. I decided to take a stab at streamlining what I liked best about 3rd Reich and the Front games in the early 2000s, but then learned that “Europe Engulfed” (EE) by GMT was in development as a block game. This sounded like the game I’ve always dreamed of, and because designing a game is difficult and time consuming, I put my project aside. After playing EE dozens of times over several years, I got the itch to dust off my game design and take a stab at further refining the experience to a one evening affair, because my friends and I still found it took 12 hours or more to play EE. I had a goal in mind – a quick-playing grand strategy game that covered the entire war in Europe. I knew I wanted to have blocks for the fog of war aspect and knew I wanted it to have simple but elegant rules that captured the feel of the history without overly scripting the game. I wanted a realistic economic system and tried lots of ideas, including a version of the spiral production track from SPI’s monster WW II game in the 1980s. I originally had headquarters like in Columbia’s EastFront series and elaborate research rules. There have been many iterations and a lot of pruning to reach what now can be played in an evening. In this process I’ve had to sacrifice things like delayed production times and research for improved weapons. Getting the play time to 3-6 hours while maintaining the correct historical feel has been the hardest challenge. I shamelessly borrowed concepts from other great Columbia games to accomplish this goal. Now that the game is down to a reasonable playing time, I’m focused on playability and balance. The victory conditions are one of the hardest aspects of designing a good game, because they drive player behavior. I’ve been very fortunate to have some of the best gamers in the country as friends who have been willing to spend hundreds of hours playing a game that constantly changed. Who else is involved in your projects? I have great friends who have helped me playtest and I can’t thank them enough, but I have to single out Stuart Pierce and Bill Powers who have devoted the most time to helping me refine both VE and my first game, Prussia’s Defiant Stand. Their help made these games possible. I also would like to thank Tom and Grant Dalgliesh for taking on this project. They have both been great to work with. Where can we find you online? Any convention plans? I’m often lurking on BGG – Ron D – and will be at the World Boardgaming Championship in August. VE should be out by then and I’m excited to play it and teach it there. I’ll be the GM for Columbia Games’ “Napoleon” tournament and hope to see many of you there.